Forums - What capacitor should I use to upgrade sound? What capacitor should I use to upgrade sound? I'm thinking about using Sonicap instead of stock capacitor. Is it good? What value should I choose? Re: What capacitor should I use to upgrade sound? Mundorf also have two other caps at a higher cost. Do you think these are worth the extra money or are we just splitting hairs at this point? I think they are called gold/silver and gold/silver/oil. Their costs are $120 & $160 respectively. Splitting hairs, maybe, maybe not. It would totally depend on what is upstream from the tweeter, amp, source, media. Its a fine line between getting the most detail, and then going to far only to find there isn't enough media worth listening to. Then, with that said, if you don't have a very well treated room, any more spent on caps would be a total waste of money You won't be able to hear the difference anyway. Just my opinion. Cannot find Claritycap MA series. In stead there is a MR series. If I replace the cap for ERR, what value should I order? Thanks. I replaced mine last week with mundorf's silver / oil. The value of the cap on my ERR'S are 3.9 uf . I also repaced the resistors with mundorf's audiophile grade resistors. Although I have not had much time to sit and listen, what I heard was even more smoooth. For me the cost of the upgrade was $ 220.00 and was worth it. Keep in mind that great care needs to be taken during installation as these caps are about twice the pysical size as the clarity caps. Thanks, that is exactly what I'm planning to change. Changing the cap and resistor 3 ohm Mundorf M-Resist Supreme. Changed using Mundorf silver/oil and Mundorf resistor. But for male vocal is thin and bass is a bit weak. Does it require long run-in to get the right sound. It is not balance sound after changing. ob2, Its going to take some break in time for them to sound even decent, probably 200 hours it just might start to sound good. I found that after switching to the mundorf caps & resistors my ERR's sound slightly smoother initially but they never sounded worse than the clarity caps. I have about 70 hours on my ERR'S and 25 of those hours on the new resistors and caps. It's nice to know their is room for improvment! I plan to try these Mundorf silver/gold/oil when it comes time to upgrade. But with three pair, I will likely take my time. Did you try them also and found the Mundorf to be better? Would a resistor upgrade also help? Which brands should I look for? Rereading my previous post I just realised that I may have given a too negative impression about the ERR sound. 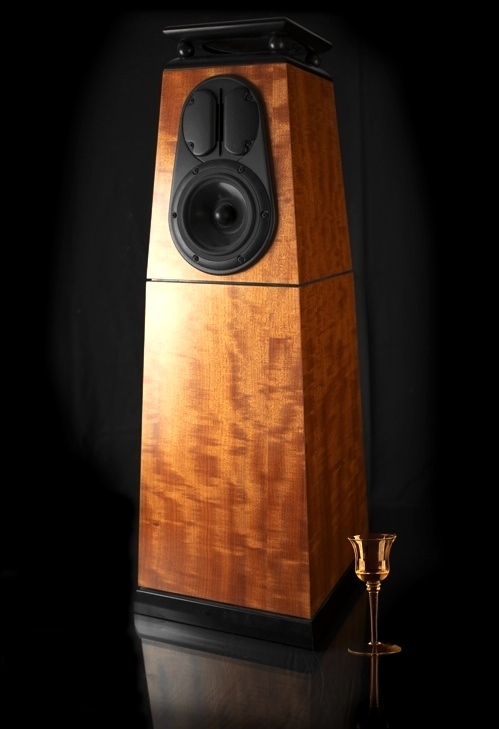 It is an amazing speaker that images like no other speaker I have heard before. The bass extension is really surprising for such a small enclosure. The ERR really sounds almost like a "big" full range speaker. The issue about the slightly grainy treble is really due to a desire on my side to make it "perfect". Previously I had a monitor, which obviously was far from full range, but the highs were a little purer and cleaner, that's why I posted my previous message. I am still not sure if this is due to the omnidirectionality of the tweeter which causes that wounderful soundstage but also more reflections from side and rear walls. Perhaps it is a matter of getting used to it. I upgraded the caps to Mundorf supreme 3.9 and the sound REALLY blossomed. You must get the speakers away from the wall tho even if you have to listen at low volume and move them after the session. After consulting with Steve I've got my ERR's just inside a pair of french doors(that slide into wall thankfully so they do not to disturb acoustics) toe'd in slightly and now have have sound flowing through 2 continuous rooms. The listening room is treated and sounds glorious but my bedroom to the rear of the speakers sounds awesome as well with a different yet also fantastic sound. On my tube amp the Torii III treble adjustments took the most of my energy when making adjustments so that could be tricky. Thankfully with the Torii's treble pots its easy to tune to taste. Thank you very much for your suggestions. Mundorf Caps seem to be a common recommendation on this forum to upgrade the ERR sound. What is exactly achieved by increasing or decreasing the value of the Cap? If I have understood correctly other threads about this topic here, a higher cap value widens the frequency range that is directed to the tweeter (making it reach lower frequencies). Is that right? PD: Your sliding doors set up to make it possible to use the speakers in two different rooms is really impressive! What a good idea! I wish I could do something similar at home! I think Will said it best in an email to me when he suggested them, really smooths out the sound. I find the music very lush and open. The caps are large and beefy and require some patience when making them fit correctly on the back of the ERR's but it's been a great upgrade. I don't hear two speakers I have a wall of sound coming towards me. If you truly get stuck both Steve and Zygi (builder of the ERR's) are more than willing to answer any questions large or small to help you out. I have decided to purchase the Mundorf Supreme cap and the Mundorf Silver in Oil cap. The Supreme is already a major improvement over the Clarity, but yesterday I replaced the Mundorf Supreme with a Mundorf Silver in Oil Cap. It is still new and needs to break in, but the difference is already very noticeable. Sound has become much more coherent from top to bottom and far more liquid. Voices and instruments sound more real, I can here more detail, more soundstage… The ERR sound so much better with these caps that I wonder why this is not the stock cap the ERR where delivered with… Highly recommended. There are even better caps in the Mundorf line, but they start to get really big. Intuitively I felt this was a reasonable investment to upgrade this speaker. I have also replaced the stock resistances with Mundorf equivalent low inductance resistances. Again, the difference is very noticeable for the better. Congrats! Making a great speaker better is very satisfying! Would you be able to share the specs on both the resistors and the caps? Or part numbers? Thanks. Now that I have broken in both Caps (Mundorf Supreme 3,3 and Mundorf Silver in Oil 3,3) I can tell you that both are very good and way better than the original Clarity. I wonder why Decware did not consider the Mundorf Supreme at least. For very few bucks more, the sound of the speaker would improve tremendously. The Silver in Oil is clearly better than the Supreme AFTER breaking it in. Initially it can give too much high frequencies and sound unnatural and harsh. So be patient. The Silver/Gold/Oil model may still be better, but it is also much more expensive, so I will end my experiments here... and enjoy the ERR, a really nice speaker!!! They are also much better than the stock ones. All together this is a little investment, but I think it's worth the improvement. Well, I installed Mundorf Mcap Supreme 3,3uF caps in my ERR pair that reside at my parents in my system there. . . and right after installation I noticed an improvement, as you mentioned: smoother, more spacious, blossoming. I'm very happy with the sound, thanks for the assistance. Realize I'm coming pretty late to this thread. But if anyone has any insight into the 3.3 vs 3.9 uF cap values, it would be truly appreciated. The stock value on my clarity caps is 3.3 uF. JD Stated: "I upgraded the caps to Mundorf supreme 3.9 and the sound REALLY blossomed. " Decwalex Asked: "What is exactly achieved by increasing or decreasing the value of the Cap? If I have understood correctly other threads about this topic here, a higher cap value widens the frequency range that is directed to the tweeter (making it reach lower frequencies). Is that right?" Is there anyone who has tried the Mundorf Mcap Supreme in both 3.3 and 3.9 uF and has any suggestion as to the differences? Is it true, as per Decwalex above, that the 3.9 uF cap would allow the tweeter to extend lower? I'm new to the forums and I don't know if it's too late to add to this topic, but I thought I would anyway as I have ERR's and have tried different Caps and Resistors. Had the Mundorf Supreme Resitors, which were very good. Then Tried Deulund Silver Cast and found that the end result was a far more "natural" somewhat smoother without loosing any of the dynamics. I also ended up with Jupiter Flat Stacked Caps 3.3 uF. Now I'm in the process adding the CSP-3 to the system. Late to the thread too. Didn't know this one was here. I got on a similar wavelength recently. I replaced my Mundorf Supreme resistors with Duelund Standard Graphite/Silvers and could describe them similarly to your Cast Duelunds Joman. I am sure yours are better, Duelund obviously knowing what they are doing, but the Standard Graphites are very transparent...like no resistor. I also have some 3.3 Jupiter flat stacks sitting in my cart waiting for the big decision between Mundorf Silver in Oil (SIO), Mundorf Silver/Gold/Oil, Audyn True Copper, Jupiter Copper, or just staying where I am. I definitely am at a really good place and should/might just stop. Over the years I have been experimenting a lot with small caps "bypassing" my 3.3 Mundorf Supremes, improving the Supremes beyond adding a little value. It is amazing how a 0.1 cap can influence a 3.3! Difficult logic there for me, but real. It generally makes the big cap better and can morph its sound toward that of the little cap. Going back and forth between 0.33 Mundorf SIOs, and 0.1 Jupiter HTs doubled, and mixed with 0.1 NOS Russian K40Y-9 (my chosen bypasses for years before trying these more "boutique" caps), I could go either way, both great improvements. But I seem to be settling on the SIOs so far. It is so complete, powerful, and natural sounding without being obvious about being "natural." I am seduced by the vast micro information conveyed so smoothly and quickly....less so by the power, the power being more demanding, but it too can be seductive. Yes, the higher cap value increases the high frequency range, lowering the point at which the tweeter falls off. I think it is 6 dB/per octave in this case of using just a resistor followed by (in series) caps before the tweeter. Resistor value can be great to explore also. In that case, the higher value attenuates the tweeter more...a relatively clean volume adjustment. When I was first exploring Mundorf M-Resist resistors, I ended up with a slightly lesser value 2.7R (and more tweeter volume) because that resistor sound is solid, smooth, dense and powerful...quite detailed, but the detail is less obvious with these other traits. Whereas, I think I get more sense of subtle, supple and spacious highs with a greater value 3.0 Duelund, the Duelund having greater transparency. I like the Mundorf sound a lot...just different signature choices from very good designers, though at this point, the Duelund's "not being there" is more to my liking. I think most tweeters on ERRs are like those on the HR1s a 5 ohm ribbon. Bob may have been using a variation on that tweeter for a little while, that one being 6 ohms. If you have the tweeter that looks like the HR1 pictures, yours is likely 5 ohm. If it has a rectangular ribbon area that is wider, then I am guessing this is 6 ohm ribbon tweeter variation from the same maker, but check with Bob for verification if you get serious about this. If you calculate 3.3 uF and 3.9 uF, you will see the difference. Lately I am preferring mine with a 10% "bypass," my 3.3 Mundorf Supreme (stock value for the HR1) wired parallel with the 0.33 Mundorf SIO....together in parallel 3.63. With my 5 ohm tweeter, this changes the tweeter bottom frequency slope-off from 9636 Hz to 8760 Hz. Pretty big change. In my case, looking at the charts for my mid/woofer, this is a relatively realistic choice, bringing the crossover points closer together, but so is Bob's design choice of 3.3, more relaxed. However you choose to go, you can let lower highs through more or less. But a "bypass" can also be heard, changing the character of the original workhorse cap while doing a better job of bringing out the whole top with more clarity and coherency if the bypass is an equal or better cap. What I hear from it is more detail, space, and absolute clarity across the spectrum. Between Mundorf Supreme bypasses of the same 0.33 value and the Mundorf SIO, the SIOs "disappear" more with more micro information, emptier background and more speed. I am always impressed how much the top end effects most every bit of the sound we hear...not just space, air, and shimmer....Deeper "black" with speed, and with smooth and musical accuracy, equals more texture, better ambient and spacial information, better attacks and decays, more nuance....bringing out all levels of subtle information. The mids and bass are richer and more complex with the Duelund resistors and SIO "bypasses." Though I need more time to come to clear conclusions as to what I keep in, bypassing speaker caps is a very good option to paying more for full value caps, also allowing more tuning flexibility. Thanks for your reply! It looks like both your capacitors, the Deulund Silver Cast and Jupiter Flat Stacked Caps were 3.3 uF. Sounds like you liked both, but preferred the Jupiter. That said, when I first got the ERR, Bob suggested the Mundorf MOX resistors, so I picked up the 5.6, 10 and 15 ohm at 10W but haven't tried them out yet. Plan on doing it soon. I think the stock resistor is a 10 ohm, and Bob stated the Mundorf Mox is much better then what the ERR shipped with stock. As far as caps, I'm definitely looking for guidance, but as Will shows, it can be overwhelming to a cap-newbie! Will, it looks like you are also going with the 3.3 uF caps. It seems there is some synergy between particular resistor/cap pairings. That is interesting how you are adding a second cap, Will. I am curious as to your configuration with the 0.1 uF cap upstream of the big 3.3 uF. Sounds like you are wiring them in parallel, though I am not sure how that would work. Sounds like I should try my resistors first, before moving to the cap world, but if I wanted to play, the Mundorf silver in oil 3.3 uF would be a good place to start. I'm aware both the caps and rez require some break in time. Thank you both for helping me on my path!!! doukhobar. I am thinking Joman is using Duelund silver cast resistors, not caps? Series or parallel is a big deal with caps. Parallel is simple, the added up values of the two being the new effective uF value. Series cap wiring takes calculating....with small caps after big ones, series often comes close to canceling the overall value. To try a typical "bypass" cap, you would put the new cap "parallel" with the current 3.3 Clarity, both caps sharing the same connections. So the input wire of the bypass would connect together with the input wire of the Clarity, and the outputs of both caps connected together also. If you can do this with binding posts, just make sure the two wires both have a tightish connection. Since different wires are usually different thickness, I usually try to cross the wires a little before tightening the post. Wired in parallel, the cap bodies and wires are literally and conceptually "parallel." I agree with trying the resistors first...I tried a bunch of values with my HR-1s too and from this you can find a general balance of how much the tweeter influences your overall sound without changing its frequency range. Then, once you like a certain resistor value, caps could be fun to explore. Those MOX Mundorfs are pretty well liked, so a really good start. Then sometime later, Duelands, or Mundorf M-Resists could possibly take it further. For cap quality exploration, and some talk about bypassing scattered around in article, the HumbleHiFi link I posted above is a good read, the most extensive and complete speaker cap exploration I have found. I have not heard it, but he talks about a Vishay cap (Vishay MKP1837) that would cost a few dollars a pair being a decent "bypass" if you want a cheap experiment. I have also found that NOS Russian K40Y-9s are very nice caps and dirt cheap, there are so many around (lots on eBay, and I may have seen some at soniccraft.com). For years I used a 2.7 Mundorf M-resist resistor followed by a 3.3 Mundorf Supreme with a 0.1 K40Y-9 bypass in parallel, and another 0.1 K40 as a literal bypass. With these HR-1 and my system, I tended to prefer both, the extra one a complete "bypass" of the resistor and caps. I ran a 0.1 K40Y-9 from the resistor "input" direct to the cap "output" post. As far as I can tell (and hear), the new cap was then functioning separate from the resistor and regular caps, literally going around them. I just really like whatever this extra "literal bypass" does. I started my recent experiments with a Duelund 3.0 Standard Cast resistor>0.33 Mundorf SIO in parallel with the 3.3 Supreme, and a 0.1 Jupiter HT going around the lot, direct from speaker wire to tweeter wire via the binding post setup. I am back there now with all burned in and liking it...at least for now. Time will tell. I don't know how this works, as calculating this cap value... 0.1 with the 5 ohm tweeter, is only supposed to work down to 318000 hz!!!! I am obviously missing something, as this is well above our "hearing" but I can definitely hear more ease and clarity in the highs with this little cap in. Maybe it is sort of a convoluted "parallel" arrangement. If you go with new 3.3 caps, I have not had enough experience to recommend one or another. I know the Mundorf Mcap Supreme is a very good mid-level cap and that I liked it better than Clarity SE, Solen, Obligotto Premium and Auricaps, but that is limited and my system/tastes. The Mundorf Supreme seems a really good cap for "bypassing," my main experience. But clearly a few others in this thread like the SIOs and Jupiters. Also, these seem to be common favorites across speakers, Duelund, Mundorf, Jupiter, Audyn, being several of those. If you take some time to read about the better rated caps in the HumbleHiFi post, though he is using different speakers, by comparing qualities he hears, you may get some sense of what you might prefer...starting with his comments on the Clarity cap you have. Will is correct.. the Duelund is a carbon cast silver lead resistor, 0R68. The cap (Jupiter) is a keeper for me, but I may experiment with resistor values once I get my ZDSD. It's a long story. I am replacing everything with Decware components and shortly should have the ZDSD, which will replace a Lavry DA11. Add the CSP3, and keep the ERR's which I have. For now I will continue to use my Cary Rocket 88R amp which is heavily updated. I expect that these changes and additions will significantly affect the 'sound' and so will not change anything that I have done with the caps and resistors on the ERR's. The final step will be a Decware amp or amps, but that is going to be some time down the road. doukhobar, I wanted to clarify my comment in the previous post about not further experimenting with resistors and caps. Like Will, I'm in a good place, in my case with the Duelund resistors and Jupiter Flatstacked caps. I was thinking about experimenting with different values of resistors in small increments. I would still continue to use Duelund Carbon Cast just different values. I would not change the Jupiter caps. I decided against that because of the changes that I am making in my system. Once these changes are made and the components burn in I will then determine whether or not I will experiment with Duelund resistors of different values. I think I saw a message saying that Ziggy is using now the Mundorf MCap ZN over the MCap SUPREME Silver Oil (these are the ones I use) but I don´t remember where... not really sure, anyone has used them both? Hey, just wanted to add that reading this thread in August i ordered a set of Duelund carbon/silver lead resistors on sale. . .and they were out of stock. Parts Connexion happily backordered them for me at sale price and sent them to me and I installed them yesterday in place of the Mundorf Supreme resistors. Immediately I experienced what Will had described: it is as if there is no resistor. That combined with the dizzying new sound of the PS Audio DirectStream Memory Player has me spinning in a new realm of fidelity. Wow. Life is good. Thought I would follow up on my previous post. I bought a second set of DSR IC's and put my amp back into the mix. The ZDSD has been settling in nicely. Originally I had Jupiter Flatstacked 3.3 uF caps with Duelund .68 5W resistors. After adding the DSR's I felt that I needed to further attenuate the ERR tweeter. Kept the Jupiter cap but... what value of resister?? and it was definitely going to be a Duelund Carbon/Silver. I purchased 4 Duelund .82 ohm 5W resistors and tried various arrangements of .64 ohm and .82 ohm in series. Ended up with the Jupiter Cap and a pair of .82 ohm Duelunds connected in series. Result... in a word... MAGIC! These Duelunds are so good that I'm tempted to try the Duelund Cast CU/AG 3.3 uF cap. But at close to $600.00 a pop and I'm now budgeting for a pair of Zen Select amps... the Duelund caps are going to have to wait. Guys...I just picked up a pair of ERRx's and I had them sent to Bob Z for a couple optimizations, including Mundorf Supreme Silver & Oil caps (based on the feedback in this forum). The reviews on the Duelund caps are fantastic, but JOMAN, as you say, they are not cheap. This is my first pair of radial speakers and I am excited to get them into my system. Once I get everything settled, I will experiment with the resistor value and bring in some Duelund resistors. I appreciate all the experimentation that has already been done. I think I'll be starting in a good place. Yes, my carbon/silver resistors are burned in now and I have to agree these are EXCELLENT. If I ever take my ERRs out of storage I'd be tempted to pay the big bucks for capacitors too, I can definitely understand the temptation. And thanks for mentioning that you felt the need to further attenuate the tweeters with the ZDSD--that told me what I needed to know about that source. Glad this has been of some help. I thought I would further enlarge on my use of the word "Magic" in connection with the end result. ZDSD, DSR's and Duelunds still have a ways to go before they are burned in. Despite that, when the resistor value hit that "sweet" spot everything gelled in a way that was surprising. It revealed not only the nature of the source but everything from the source to the speakers. Everything became "real" on a different level. The highs and the mids caused vocals to be articulate, emotional and organic... on a different level. I could hear the whole instrument. But the real shocker was the bass response. The ERR specs state that they go down to 34hz and the ERRx down to 39hz. The advertised comments state "no sub need" for the ERR/ERRx. I have to admit that up until now I had misgivings about that comment. Once the resister value hit that "sweet" spot the misgivings vanished as the bass became so tight, articulate and present. At times it would "growl". Now I don't mean bass down to 20hz. This is not the bass freaks bass (no offence intended). The kicker is that it happened with the same amp that up until now never produced that end result! The amp is a Cary Rocket 88R set in triode mode. It's been updated... Mundorf silver/gold/oil coupling caps, stealth diodes, WBT binding posts, Furutech RCA inputs, Amprex BB EL84, 5star 1955 12AY7 and so on, all that certainly improved things but not to the degree that I have now. I changed my DAC to the ZDSD, DSR's IC's , CSP3 Preamp, major improvement, but it wasn't until I changed to the Duelund resistors and experimented until I hit the "sweet" spot that things really came together, everything was able to deliver to what appears to be it's full potential. Is it perfect? NO. Still needs to burn in. As good as my amp has become I've decided to go for the Super Zen Selects, as the budget allows. I will be getting Steve's input on the possibility of Duelund Coupling Caps in the Selects ($$$ouch). He's been a great support in this... journey... and I know I've probably a bit of a PIA... alright a total PIA. Yes your impressions are very helpful. My resistors went in when I was early on in my journey with my beta testing journey of the new transport from PS Audio, which really has improved the sound of my system with it's further reduction of jitter and opening up the flow and timing of the music. And the resistors helped let all that through, though I heard it clearly via the Mundorf Supremes, there's even more clarity and beauty with these. Had the same experience with the Mundorf Supremes vs. the Duelunds. Of course now there's that "wonder what would happen if I tried the Duelund Caps???" I guess the best is enjoy what is instead of being consumed by what could be... (ya, right... who am I kidding). Just checked Parts Connexion and many of the Duelund resistors are 55% off. It's tempting to pick one (or more) of these up, but I don't know what level of attenuation I will need in my room. Also, I thought the typical resistor range was 1-16 ohm for these speakers. Weren't you guys referencing Duelund 0R68 (0.68 ohm) earlier in the thread? Was that for a different use vs. tweeter attenuation? Lon...I know you like a lot of tweeter attenuation...what value Duelund resistor are you using? I'm using a pair of Duelund 80796 in series (0R82x2=1.64ohms) These are the Carbon Cast/Silver. Originally bought ERR used, came with ceramic resistors from 1 to 5 ohms and a 3.3uF cap, forget brand - didn't like any combo at all. I had a Lavry DA11 going into my Cary no preamp. Switched to a Jupiter 3.3uF cap and a 0R47 M Resist Supreme. Much better. Read reports on the Duelund Carbon Cast and tried 0R68. Way better. Then replaced the Lavry with the ZDSD added CSP3 and HD800 headphones but did not hook up amp and speakers until I got DSR IC's. 1.5 ohm combo, 2.32 ohm combo, 0R82 single and 2x0R82=1.64 ohm... with the Jupiter 3.3 uF cap. The 1.64 ohm combo was the "magic" for me in my space with my system. No right or wrong here it's very subjective and system dependant IMO. I like dynamic, real, organic, voices to die for and the whole instrument in my space, and... on a budget (blew the budget a long time ago). Don't want much do I??? Others may want something different and that's fine. Guys... I am going to follow along here. I recently received my ERR's [Bubinga Wood] that I bought in the Classified section from a forum member. The speakers currently have the Clarity PX 3.9uF 5% cap, and a Xicon 5W 5 Ohm resistor.... which I believe are stock. They are getting hooked up this upcoming week so I can start to enjoy them. While I am soo tempted to experiment with changing them out after reading this post....I will be listening to them through my SS Yamaha amp. This is only short term, since I will be renovating my house next year. Once complete...I will be buying either the Torii or the ZMA. Does anyone currently have the Err's hooked up to a SS amp, and if so what caps and resistors did you experiment with and/or currently like. I don't have a problem spending a small amount of $$ to have fun with....but don't want to get crazy since my listening space will change drastically with a completely new room with the addition of a new Decware amp. Lon...thanks! 50ohm resistor on the tweeter! Nice to hear that the new transport is working well for you. I read your latest review over on the PS Audio forum. Very insightful. JOMAN...thanks for the history and clarification. Very helpful! Did you get a bunch of 0R82's, because you knew you needed to move in small increments? Do you think a single 1R6 would give you the same magic? How do you have the two 0R82 resistors connected to each other (wires twisted together)? I will say 50 ohm at 5 watt is different than 50 ohm at 10 watt, considerably brighter. Love the lack of digital glare though, which is both the resistor and the new transport at work. Lon...that too is helpful. Did you specifically seek out a 5 watt resistor? Parts Connexion states a given value is either or 10 or 5 watt …it is not selectable. I just thought I might like the 50/5 and I do. The HR-1s are different than the ERRs and the tweeter height differs as well as the ability to tilt the tweeter is not there as it is in the ERRs. I haven't heard my ERRs for about a year and a half, they are in storage and I don't have the authorized space to use them here in our little home (second system is basically a headphone system now). They'll likely stay there as I don't think I have the original packing to ship any longer and I've had bad experience in shipping Decware speakers. Of course someone locally might enjoy them. I had to wait ten weeks or more for these resistors as they are not in stock at Parts Connexion, though they did order and ship them three months or so later at the sale price. I just recently ordered 39 ohm/10 watt resistors to try out but again, they are backordered. I suspect these will be a little darker and I could attenuate the tweeter output less via the treble cut circuit, may present a nice sound, we'll see in three months or so! Lon, I currently use the Mundorf Supreme 10 ohm/20 watt resistors on my HR-1s. How would the Dueland 10 ohm / 10 Watt, CAST Carbon/Silver resistors compare to the Mundorfs? Is it worth $50 to try them? Mark. It's hard for me to say Mark because I have heard neither the 10 ohm Mundorf nor the 10 ohm Duelund. And I have compared a 33/10 Mundorf with a 50/5 Duelund, not exact value comparisons. I will say though that the Duelund impressed me immediately with a clarity and speed that was different than the same qualities in the Mundorf. "Airier" and "quicker" and more open, with nearly the difference margin as that between the Mundorf compared to the regular "sand" resistors one can get from Radio Shack. So just as the new Transport I'm using diminishes a tiny bit the full-bodied note sound and a tiny bit of the warmth to the sound (replacing that with precision and perfected timing) similar differences are found with the two resistors. Now if you told me that I would say "doesn't sound like what I would like, I like the full-body and warmth" but. . . in listening I clearly do like these differences. Thanks Lon. I'll probably order them tomorrow. I'll give myself a day to think about it. I haven't changed anything for maybe 6 months or more. Whenever I think about a tube roll, I say nah...don't do it...haha. Things are sounding great. Mark. Cool. I hope they're in stock and you don't have to wait a few months! Reading reviews and descriptions online, I'm confident that this change will be more than a tube change and lord knows how much I've spent on tubes. No one had a negative impression of these...so I'm in! Mark. Dave...I was actually going to buy the speakers you bought...which are beautiful!! Rick had contacted me when he decided to sell them, but I had already bought my Err's. Since mine are the previous versions....I was going to send them to Bob for upgrades, but decided to hold off for now and just enjoy them, since my system and room will change dramatically next year. I had already contacted Bob via email, but he wants me to call him. We are going to discuss replacement caps and resistors, and a good place for me to start with my SS amp.